Unfortunately The Kaiser Wars has been officially discontinued permanently due to a number of reasons including a very broken product, issues with things like events and focuses due to other corrupted files, random crashes and much more. So we are very sorry to those who have supported The Kaiser Wars all the way but your support was not in vain. All the developers from The Kaiser Wars and some new additions are making a brand new mod with a style rarely seen the Hearts of Iron 4 modding community. Patriam will feature a completely new map, new nations, ideologies, cultures, leaders, technology, lore, and pretty much everything else. Patriam uses the same discord as The Kaiser Wars did so if you were already part of The Kaiser Wars Discord there is no need to join. However if you have not joined the discord and would like to so you can see how Patriam is coming along then the discord link below is still valid and will take you to the Patriam discord. Lt. Col Alex and the Patriam Modding Team. The Late 1700’s and Early 1800’s changed the world forever. The German revolutions caused a divide between Germans for centuries to come. 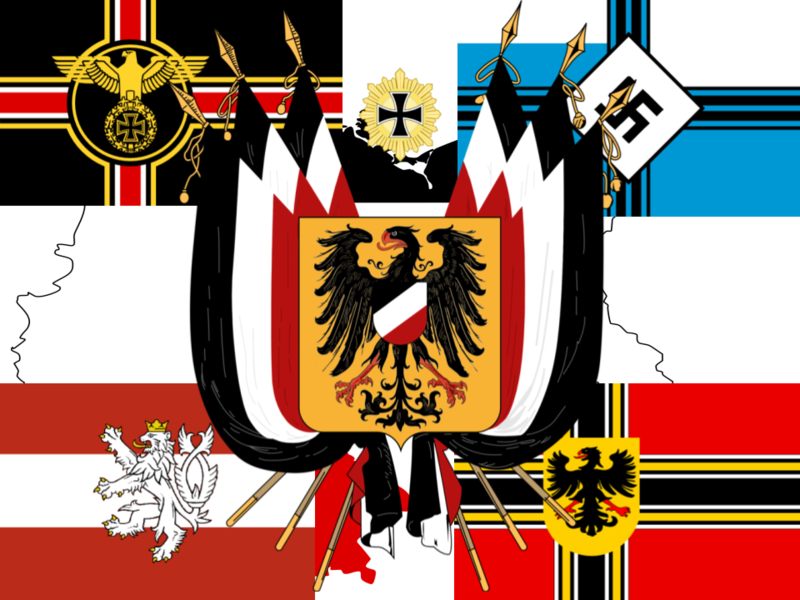 The region of Germania was split in to three, The Kingdom of Prussia, The North German Kaiserreich and The State of Bavaria. With Francia occupying the West and Austria holding the region of Bohemia. In 1832 The Kingdom of Prussia fought a ten year war with the North German Kaiserreich. The Prussian Kaiser was defeated but the East German populace rose up against their Northern Occupiers in 1864. A new authoritarian government was founded at the head of the new nation of The East German Confederation. Peace followed for a short time. Only to be interrupted by the Austrian Civil War. Bohemia was able to become independent in the chaos, as did Hungary. Austrian Occupied Serbia, Greece and Albania were also able to break free. As the Civil War ended Francia too split when the two twin sons of the Emperor Charles IX fought for control of all Francia as their father had not nominated an heir. The War of Two Thrones ended in a ceasefire. In the West this draw was seen as a sign of weakeness and a rebellion sent the Western Emperor Charles X into exile. In the chaos of the rebellion, Great Britian was able to land an invasion and claim Normandy and Brittany. Claiming that both of these states are rightfully British. The victorious rebels installed a new democratic regime in 1875. Eastern Francia also had issues. While the Imperial Army tried to forcefully improve public order the region of West Germany was able to breakaway and form a democratic republic. The West German Militia fought a large battle at Stuttgart with the East Frankish Army. The North German Kaiserreich sent a force to help defend the new West German nation. However due to poor planning by the West German Militia, the entire North German force of fifty thousand was massacred by the East Frankish Army. The North Germans blamed both East Francia and West Germany for the loss. A year later in 1876 a peace treaty was signed between the East Frankish Emperor and the President of West Germany. It declared that West Germany was an independent nation and was recognized by East Francia. Two days after the treaty the Belgian state of Wallonia was annexed by East Francia following a border dispute. Only two years later Great Britian fought a rebellious Irish populace. Although the British couldn’t crush the rebellion they were able to hold onto two Northern Irish States. In 1893 an Alliance was formed between Ireland, West Francia, East Francia and the Republic of West Germany. The purpose of this alliance was to contain the aggression of Authoritarian German states and Great Britian. A two decades of peace was allowed in Europe until in 1923 Greece, helped by a rebellious Iraqi state, conquered West Frankish and British colonial territories in Northern Egypt and The Middle East. West Francia allowed Iraq and Greece to occupy it’s Middle Eastern colonies but Britain sent two hundred thousand soldiers to defeat Iraq and force Greece back to the mainland. They ultimately failed when half of their divisions were sunk and killed at the Battle of Malta in mid 1926 and the remaining soldiers were forced to retreat. Britain still maintains a watchful eye over Egypt and the Mediterranean. In 1927 the American economy collapsed. Riots broke out across the states. British and East Frankish soldiers were rushed to protect their colonial borders from armed protesters and rioters. The American government enacted martial law, the American military began detaining thousands of rioters and protesters. Armed rebellions rose up across the nation. Although small at first they rapidly grew. Both radical and just the rebellions united in July 1935 and forced federal troops out of the Eastern United States. In the chaos of the rebellion the Russian Tsardom seized and occupied Alaska. In early December of 1935 many rebellion factions declared independence from the federal government, a total of 29 self-proclaimed nation states. By late December there were four. Alabama, California, Texas and The Religious States of America. Now, in 1936 The world burns in the chaos of war and rebellion. As the world begins to take sides it is only a matter of time before it is plunged into Total Chaotic War. New Leaders for Major Nations, USA, Italy, Greece etc.